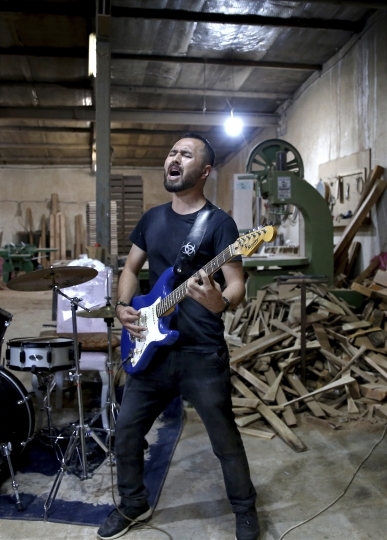 TEHRAN, Iran — The band gathers in a small carpentry shop on the outskirts of Iran's capital, with sawdust still in the air but the buzzing of the jigsaws now exchanged for the soft feedback of an amplifier. A drummer strikes his snare four times and Hakim Ebrahimi opens with the first dreamy notes of "Afghanistan," the sound of their Metallica-inspired rock ballad filling the air. 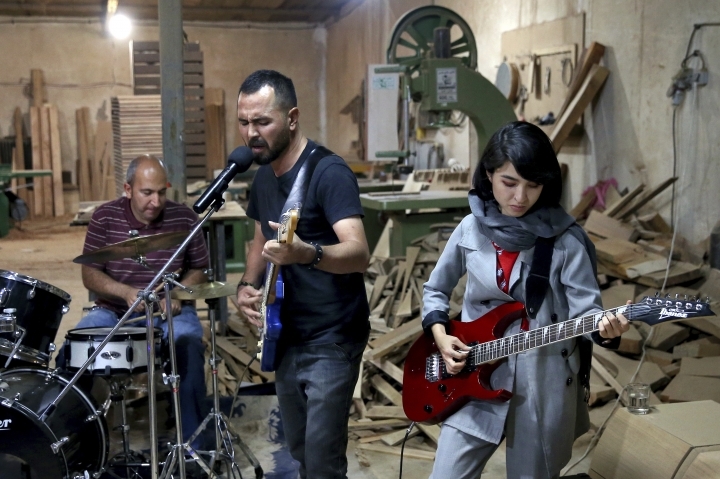 The four rockers that make up the band, known as Arikayn, are Afghan refugees, and their struggles mirror those of millions of other Afghans who have fled to Iran during decades of war. 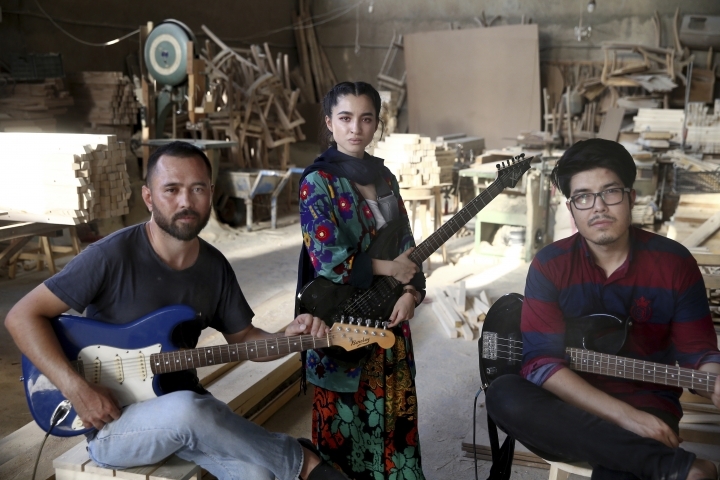 They once had to sneak through a Taliban checkpoint to pay a gig in their home country, and they face discrimination in Iran, but they say that hasn't stopped them from playing the music they love. "This is very hard for all of us, but when we play a song, we become the person that we want to be," bassist Mohammad Rezai said. Iran is home to one of the world's largest and most-protracted refugee crises. More than 3 million Afghans, including over 1 million who entered without legal permission, live in the Islamic Republic, according to United Nations estimates. Afghan refugees began arriving in Iran in 1978, following their country's Communist military coup and the subsequent Soviet occupation. The occupation ended in 1989, giving way to years of civil war and ultimately a Taliban-controlled government. Then came the Sept. 11, 2001 terror attacks on New York and Washington, and the subsequent U.S.-led invasion targeting al-Qaida leader Osama bin Laden, whom the Taliban harbored. 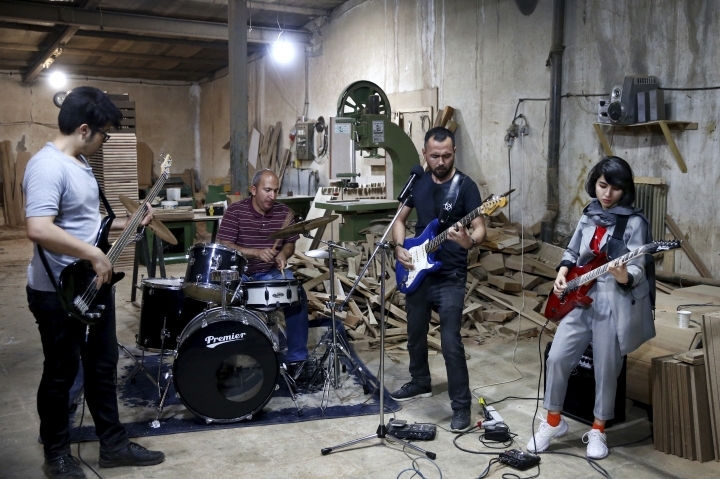 Three of the band's four original members were born in Iran, including female guitarist and vocalist Soraya Hosseini, drummer Akbar Bakhtiary and Rezai. Ebrahimi came to Iran as a child. 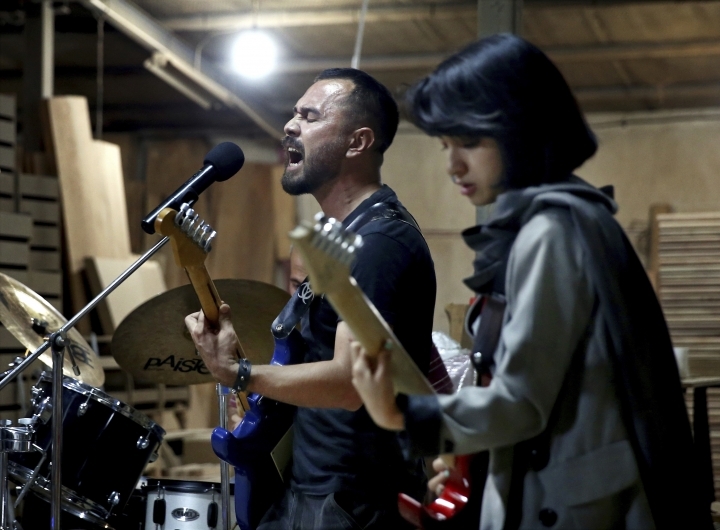 They formed the band Arikayn, which is Dari for "Lantern," in 2013. "When I was a child, we used Arikayn to find our way in dirt alleyways at night," Ebrahimi said during a recent practice session at the carpentry studio. Arikayn's music recalls Metallica, not the speed-metal shredding of "Master of Puppets" but rather the introspective ballad of "Nothing Else Matters." Ebrahimi, who said his icon is Metallica frontman James Hetfield, evokes his guitar work in the band's song "Afghanistan." "Here is Afghanistan, human's life is cheap; the way to heaven is from here, killing a human is easy here," he sings. 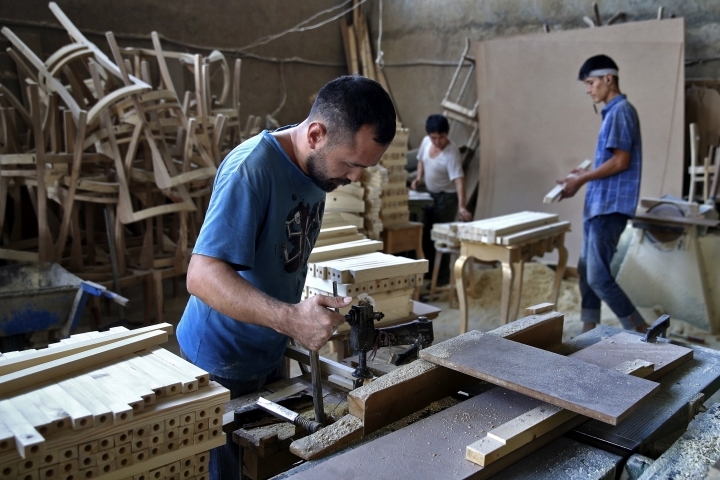 By day, Ebrahimi works in the carpentry shop to support himself. 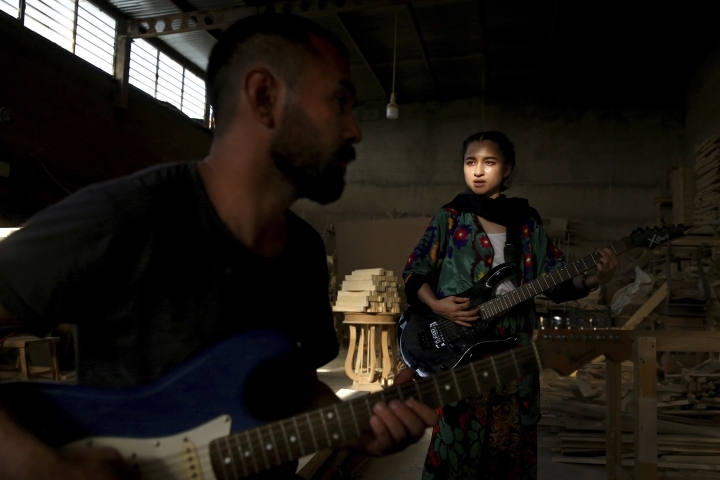 Other band members have day jobs as well, though Hosseini relies on help from her mother. 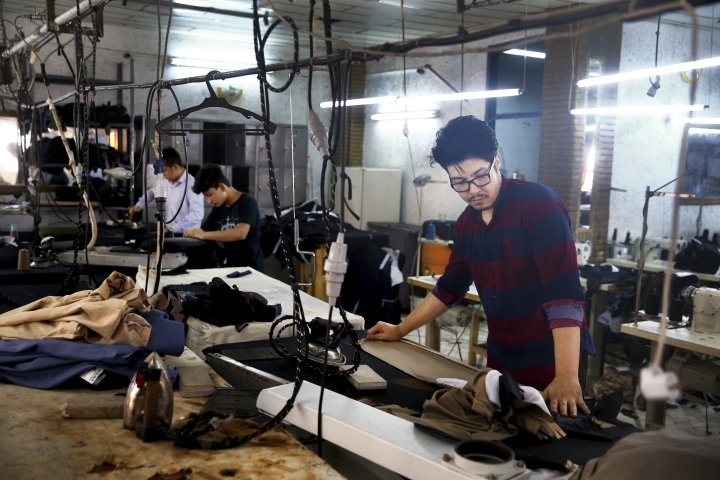 Like other Afghans, they face challenges in finding work in a country that had high unemployment even before President Donald Trump withdrew from the 2015 nuclear deal and began restoring sanctions. Afghans also face discrimination in Iran. The band says they were turned away from a once-popular Tehran concert series because they were immigrants. 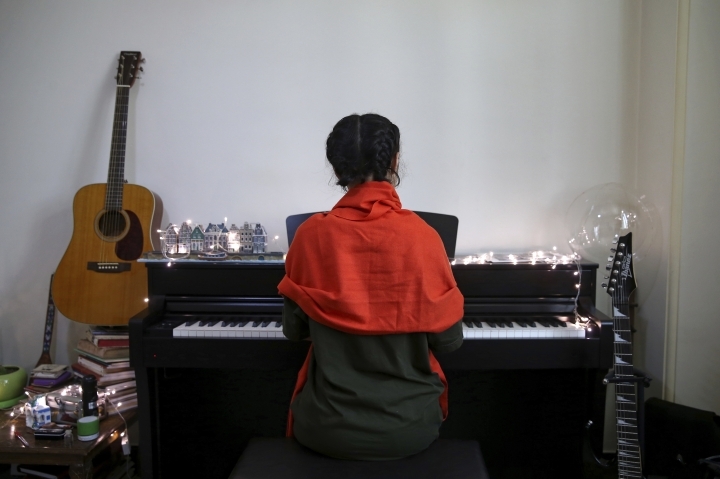 Like others in Iran's vibrant arts scene, they must contend with hard-liners who view Western culture as corrupt and object to women performing in public. 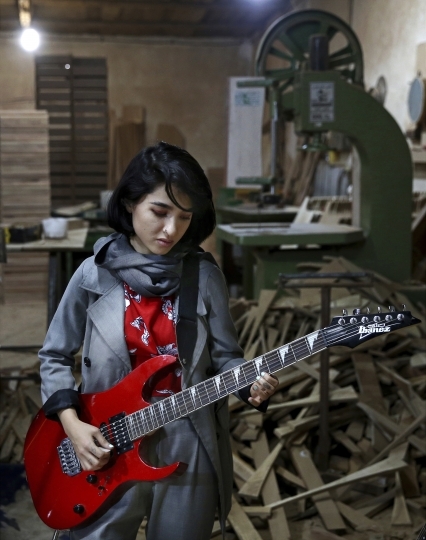 At one of only two Tehran concerts the band gave, at Tehran University, Hosseini said she was not allowed to play her guitar on stage, and was only able to sing background vocals. "They did not tell me directly that I cannot play the guitar on stage, but they made me understand," she said. "I felt strange because it was my first time on stage. I was stressed out that I might ruin it." 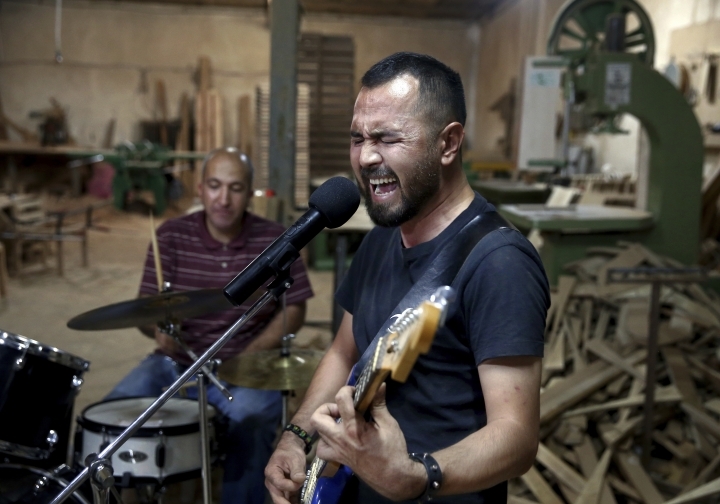 That stress only multiplied when the band decided to play a show at a July 2015 music festival in Bamyan, Afghanistan, where Ebrahimi lived until age 10. They had looked forward to performing beneath the ruins of the great Buddha statues of Bamyan, a UNESCO World Heritage Site destroyed by the Taliban in March 2001. To get to the area, some 130 kilometers (80 miles) west of Kabul, however, the band had to cross through Taliban-held territory. They described passing through various Taliban checkpoints, keeping their eyes down. But at one, an accompanying Afghan documentary filmmaker's errant glance caught the attention of a Taliban fighter. "At the checkpoint, we were shocked, and I lost my mind," director Hassan Noori said. "I directly looked into (the gunman's) eyes, but when he saw Soraya in the car, he let us to go." They made it safely to the concert. "It was wonderful, and words cannot describe our feelings when we performed in a large plain in front of the statues of Buddha and more than 2,000 Afghans," Hosseini said. In the time since, however, reality has come crashing down on the group. Some Afghans in Iran are beginning to leave the country over its economic problems. 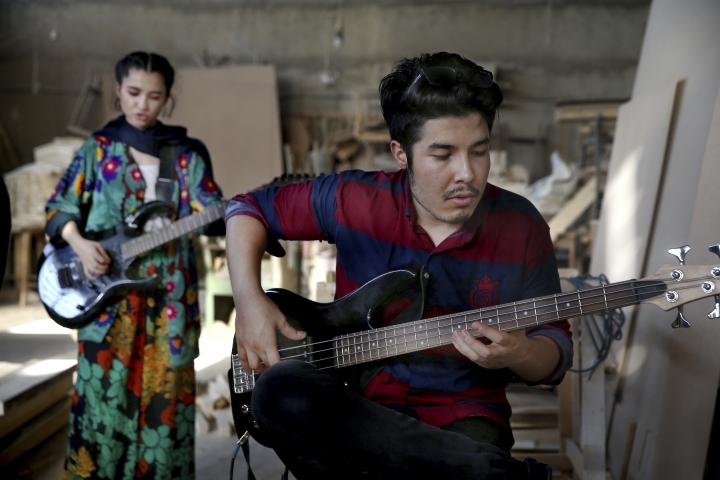 Bakhtiary, the band's drummer, left Iran along with other Afghan migrants hoping to reach Europe. After a time in Turkey, he made it to Italy, where he is now jobless. 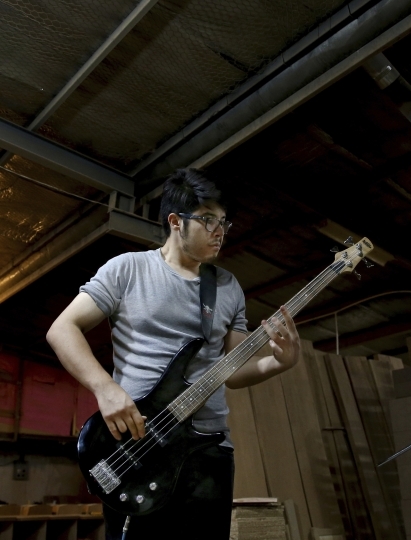 Rezai, the band's bassist, prefers his work at a nearby tailor shop to practicing. "I need this money so that my family and I can have an easier life," he said. For now, Arikayn's only audience is those who work in Ebrahimi's carpentry shop. On a recent night, the band tore into its song "Stand Up," which challenges the Taliban. "Stand up and don't let the city be full of burqa-wearing women again," Ebrahimi sang. "And stop the sky from turning black from being full of lead." Associated Press writers Mehdi Fattahi and Ebrahim Noroozi in Tehran, Iran, and Jon Gambrell in Dubai, United Arab Emirates, contributed to this report.